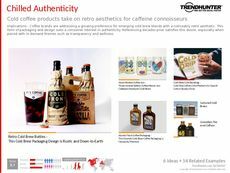 Find Better Ideas, Faster ® with a custom authenticity trend report, our PRO Dashboard and 80+ categories of premium trend reports. 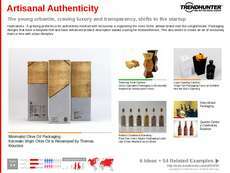 Trend Hunter’s Authenticity Trend Report is designed to show you the most unique branding and marketing tactics that prove a company’s credibility and legitimacy. We will look at the best practices being used to create bonds and meaningful relationships with authentic, one-of-a-kind strategies and tactics. The ultimate outcome for this research report is to explore new avenues that will enhance your current stance in the consumer marketplace. Marketing managers will find this report to be useful when creating new product branding or campaigns. Those working within the advertising industry can use this report for similar purposes. It will also present designers with a new set of tools to create exciting new brand images. 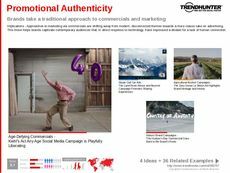 The Authenticity Trend Report will prepare you to hone in on revolutionary ideas and seek the best outlets for your brand to build consumer relationships. 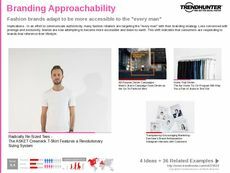 Fashion brands adapt to be more accessible to the "every man"